At West Hollywood Psychology, therapy for drug addiction is a collaborative relationship. Dr. Jennifer Oeding, PhD is a licensed Los Angeles Addiction Counselor that provides effective and compassionate drug therapy to those searching to make a change in their lives. Together with your addiction therapist, we will work to identify and change the mental, emotional, and/or behavioral patterns that are preventing you from feeling your best. Having a reputable and experienced Los Angeles addiction counselor by your side during this dark time can make all of the difference. Dr. Jennifer Oeding provides drug treatment that is grounded in dialogue and implemented in a safe and supportive setting. West Hollywood Psychology offers you the opportunity to talk openly with a skilled Los Angeles addiction counselor who is objective, neutral and nonjudgmental. If you are one of the 23 million Americans suffering from either alcohol or drug addiction and are in search of a Professional Los Angeles Addiction Counselor, Dr. Jennifer Oeding is here to provide that help. While we focus on treatment for addiction, our services cover a broad range of personal and relational concerns and we are committed to helping each individual. Our addiction counseling sessions are tailored to your specific needs, and provide a comfortable and open environment to foster communication and growth. Los Angeles Addiction Counselor Dr. Oeding begins with understanding your concerns and the ultimate goal you are trying to achieve, and builds a therapy plan tailored to your specific needs. Â When someone is suffering from addiction and addiction related issues, it is natural for them to feel alone and to isolate themselves. While it may sound cliche, it is indeed the honest truth. 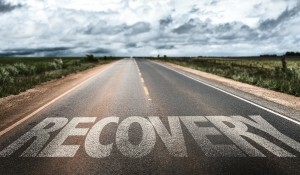 Drug and alcohol addictionÂ is on the rise in the United States. Approximately one in every 10 Americans over the age of 12 suffer from addiction. That is roughly equal to the entire population of Texas. But only 11 percent of those people seek and receive proper addiction treatment. Los Angeles Drug CounselingÂ offers clients caring, confidential and professional treatment that makes it easy to conquer your fears when confronting addiction head on. Dr. Oeding, PhD is a licensed psychologistÂ in Los Angeles, CA specializing in individual addiction counseling as well as couples therapy. She has the knowledge and a gift for helping people make positive changes in their lives. West Hollywood Psychology was started after years of Dr. Oeding’s involvement in hospitals, non-profits and community mental health settings. Her dream was to create a practice that was open and welcoming, where people of all backgrounds, facing any number of challenges can get the help they need. 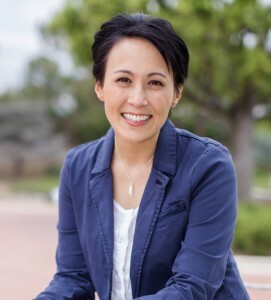 Dr. Jennifer Oeding treats a broad range of individual and couple’s issues, having been trained as a Marriage and Family Therapist, Professional Counselor, and Clinical Psychologist. Special interests include health psychology â€“ helping individuals, couples and family members coping with illness; trauma â€“ providing prolonged exposure therapy for PTSD; and couples therapy â€“ including non-traditional relationships and divorce/co-parenting. She incorporates an empathetic, practical, and relational style to therapy, with a touch of humor and creativity. When you visit West Hollywood Psychology you’ll feel comfortable and relaxed in a safe and trusting space where you can openly discuss your challenges. What To Expect When Seeking Professional Therapy for Addiction? Help he or she admit that they are suffering from the disease of addiction. Extensively educate each client about addiction and about the tools of recovery. Encourage and motivate the client. Analyze any relapse and strongly discourage further use. Introduce or review the 12-step philosophy and encourage regular attendance in a self-help program. Provide support and encourage development of a support network. Cognitive behavioral therapy (CBT) is the process of teaching an addict how to recognize moods, thoughts, and situations that cause drug cravings. Effective Los Angeles Drug Counseling helps a person avoid triggers, and replace negative thoughts and feelings with ones that are healthier and conducive to recovery.Â The skills learned in cognitive behavioral therapy can last a lifetime, making it a potentially powerful method of drug abuse treatment. Prescription drug abuse and opioid addiction don’t only dismantle the user’s life, but the entire family and support system is transformed. Strong relationships with family and friends are essential for successful drug treatment. Various Los Angeles drug counseling methods include the either the spouse, life partner and family members of the addicted person. Family members can act as a guiding force for change in the afflicted person’s life. Including family members in therapy sessions can increase the likelihood a person will remain in recovery. Everything that you discuss in therapy is kept confidential and private. We want you to feel safe and assured that no one will be informed of your participation in counseling without your specific request for a release of information in writing. However, there are legal limitations to confidentiality. These limitations include, but are not limited to: reporting child, elder and dependent adult abuse; when a client makes a reasonable threat of violence towards a reasonably identifiable victim; when the client is dangerous to him/herself or another person; or when there is a court order. If confidentiality (or the limitations) is a concern for you, please be sure to mention this to me at our first meeting. I will be happy to discuss your concerns further.